Julie S. Byrd Clark is Professor of Applied Linguistics at the Faculty of Education of Western University. In addition, she is Coordinator for the new Master’s of Professional Education (MPED) in French Education. Her areas of expertise are in the domains of sociolinguistics, bi/multilingual education, discourse analysis, and postmodern approaches for multilingual language teaching and learning. Julie engages with critical, multimodal, and transdisciplinary approaches to language and intercultural education as relates to globalization, academic mobility, accessibility, and the construction of identity and social difference. As an ethnographer, sociolinguist, and teacher she uses innovative research methodologies in order to capture some of the complexities and representations of people’s social and linguistic practices in their everyday lives. Byrd Clark is Principal Investigator for several major external grants, including her most recent, a five-year ethnographic SSHRC (Social Sciences and Humanities Research Council of Canada) research project, entitled: French Immersion for New Social Realities in Contemporary, Transnational Times (with co-researcher, Roy, 2018-2023). Her current work centers on the significance and sociolinguistics of multilingualism, the social integration of youth of immigrant backgrounds as well as the development of critical awareness (reflexivity) in language education, particularly issues surrounding equity and access to French language education. She is the author of Multilingualism, citizenship, & identity (2011, Continuum/Bloomsbury), as well as editor of the successful volume Reflexivity in language and intercultural education (2014, Routledge, with Dervin). 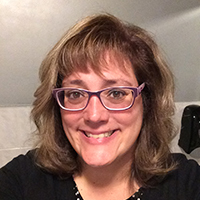 Prior to coming to Western in 2009, Julie worked as a language teacher (English as a Second Language, French, Spanish) and curriculum writer both in K-12 and adult education for fifteen years in diverse international contexts. She has received a number of awards, for her outstanding teaching, both at the undergraduate and graduate level. A lover of languages and multiple ways of communication, Julie has recently begun working with contemplative inquiry (e.g. the practice of mindfulness) as relates to language use, consciousness, and an openness to social and linguistic variation. Byrd Clark, J. (principal applicant), Mady, C., Huver, E., & Pierozak, I. (2011-2013). The pedagogical experiences of multilingual student teachers of French as a Second Language in Ontario: From volition to professional insertion. Social Sciences and Humanities Research Council (SSHRC)/Conseil de recherches en sciences humaines du Canada (CRSH). Subventions ordinaires de recherche, nouvelle chercheure. Dr. Julie Byrd Clark's research program (funded by the Social Sciences and Humanities Research Council/SSHRC), a two-year multi-site, longitudinal ethnographic study, which examines the pedagogical experiences of multilingual student teachers of French language education in Canada and France, makes an important international contribution. A large part of the study explores whether new technologies and engagement research strategies, such as auto- ethnography and participating in a virtual space (e.g. using multi-media, wikis, and SKYPE) impact (or impede) the ways in which student teachers from different contexts invest in representations of languages, literacy, identities, and ways of thinking about classroom pedagogies. This study is significant in that it will examine the nexus of learner autonomy, multi-media literacy, reflexivity, and international knowledge mobilization. It will provide a better understanding of how and why student teachers engage in French, develop linguistic repertoires and negotiate what it means to be and become a French language teacher in today's plurilingual and pluricultural world. Byrd Clark, J. (principal applicant) (2012). Award for Visiting Scholar granted to invite Professor Fred Dervin, University of Helsinki and Turku, Finland to UWO. UWO Faculty of Education competition and Vice-Provost matching funds for Award. Dr. Dervin is an exceptionally accomplished scholar who is making significant contributions to international knowledge mobilization particularly through his work on academic mobility and migration, the construction of identity and otherness, multi-modality and digital technologies, and innovative approaches to intercultural communication and education. He is interested in investigating student mobility and hyper-mobility (study abroad) experiences of learners specifically as relates to the use of digital technologies and social media (e.g. for social inclusion) and the expression and co-construction of identity. Upon Dr. Julie Byrd Clark’s application, Dr. Dervin’s visit will fully support and push forward UWO’s goal of internationalization, build outstanding research collaborations, recruit graduate students and further strengthen the excellent and interdisciplinary work being done by the RICE Research Group at UWO (led by Dr. Julie Byrd Clark and Dr. Paul Tarc). Being able to learn from his rich and varied research experiences in Finland (France, and the UK) would “enhance our research capacity and impact: Encourage the transfer of faculty research into educational policy and practice” as one of the goals highlighted in the Faculty of Education’s strategic plan. Byrd Clark, J. & Tarc, P. (co-principal applicants) (2010-2012). Researching International and Contemporary Education (RICE), UWO Faculty of Education Research Cluster Award. RICE (Researching International and Contemporary Education) came about as a means of establishing a distinguished research group at the Faculty which focuses on the theorizing processes associated with internationalization, globalization and education. Internationalizing education has become a strategic mission of multiple universities under intensified processes and imaginaries of globalization. This eclectic movement, inclusive of multiple discourses and distinct expressions, framed by neoliberal branding agendas to liberal humanist pedagogies, is (re)animating a whole set of initiatives, such as: international academic partnerships, North-South development-oriented initiatives, global citizenship education, internationalizing preservice and graduate education, international service learning, language learning, e-learning, etc. While the related academic literatures of experiential education, inter-cultural learning or adult education offer frames to understand and research practices of international education, it may be time for alternative conceptualizations or new ways of thinking and doing research vis-à-vis international education. The central aim of our research group is to deepen our collaborative capacities to develop and engage new conceptualizations and innovative approaches to researching international and contemporary forms of education in a globalizing world. Please consult the RICE website for more information. Byrd Clark, J. (principal applicant) & Huver, E. (2010-2011). The pedagogical investments of teacher-learners of French as a Second Language in Ontario. Conseil de recherches en sciences humaines du Canada (CRSH) UWO Internal SSHRC Research Award. This study focuses on the complex teaching investments of multilingual teacher candidates training to become teachers of French. The objectives will be to examine the factors (be they institutional, environmental, etc) and social processes, which facilitate (and/or limit) the development of multilingual repertoires as well as access and persistence of French language studies and teacher training. Increasingly complex linguistic repertoires and a growing number of youth with multiple identities represent some of the ways that Canada is changing. As Lamarre (2010) has noted, this complexity is difficult to catch through quantitative data. It is, however, being captured in ethnographic work in urban spaces where population flux and contact is high. This study will draw from qualitative, ethnographic methods (namely questionnaires, observations of classrooms, semi-structured interviews, and focus groups) in order to gain an understanding of how multilingual teacher candidates invest (or not) in being and becoming teachers of French, investigating the complex significance that French may hold for them as they try to integrate the professional world. This pilot study will contribute to the development of a major study in this area as potential results signify what the necessary conditions and needed support are for those who want to pursue professional teaching careers in French. Byrd Clark, J. (2009-2010). Case study on Francophone and French Immersion students in postsecondary education in Windsor, Ontario. UWO Faculty of Education Internal Research Award. The study builds upon work done by Lamoureux (2007, 2008) and sought to explore issues of equity in relation to the timely proposed improvement of access to university studies and services in French for minority Francophones in Ontario (see Rae Report, 2005) as well as graduates of French Immersion programs. Drawing upon ethnographic (qualitative) methods, the purpose of this case study, is to gain analytic insight into the student experience of Francophone and French Immersion students as they access postsecondary education in a minority context and to better understand the social processes which facilitate (and/or limit) access, success, and persistence of postsecondary studies. This research is of utmost importance and social significance, as we want to ensure successful social and academic integration for everyone living in a pluralistic society. Byrd Clark, J. (2009). Multilingualism, Identity, and Citizenship: Voices of youth and symbolic investments in an urban, globalized world. London: Continuum. Byrd Clark, J. (in press). Guest Editor for Special issue in The International Journal of Multilingualism. London, UK: Francis & Taylor, Routledge. Byrd Clark, J. & Lamoureux, S. (in preparation). French language pedagogy. Toronto: Oxford University Press. Byrd Clark, J. & Dervin, F. (accepted, in progress). Reflexivity and multimodality in Language Education: Rethinking multilingualism and interculturality in accelerating, complex and transnational spaces. The Routledge Applied Linguistic series. London/New York: Routledge. Byrd Clark, J., Tarc, P., & Varpalotai, A. (in progress). Co-editor for Special issue for the Canadian and International Education (�ducation canadienne et internationale) Journal. Byrd Clark, J. (in preparation). Developing reflexivity: The experiences of multilingual student teachers through virtual spaces and plurilingual times in Byrd Clark, J. & Dervin, F. (Eds.) Reflexivity and multimodality in Language Education: Rethinking multilingualism and interculturality in accelerating, complex and transnational spaces. London/New York: Routledge. Byrd Clark, J. & Lamoureux, S. (accepted, in progress). Rethinking multilingualism: Complex identities, representations and practices of Canadian youth moving through plurilingual times.Manuscript submitted to the organizers of the 2011 L3 Conference for inclusion in an edited volume. Byrd Clark, J. (in press for 2012). On being and becoming a multilingual Canadian: An ethnographie à géométrie variable in Clemente, A., Marshall, S., & Higgins, M. (Eds.) Shaping ethnographies in a multilingual and multicultural context. London, Ontario, Canada: The Althouse Press of The University of Western Ontario. Byrd Clark, J. & Stratilaki, S. (2012). Multilingualism and identity: A meeting of different discourses in Dervin, F. & Liddicoat, A. (Eds.) Linguistics for intercultural education in language learning and teaching. New York: John Benjamins. Byrd Clark, J. & Labrie, N. (2010). La voix de jeunes canadiens dans leur processus d’identification : les identités imbriquées dans des espaces multiformes dans S. Osu (dir.) Construction d'identité et processus d'identification. (pp. 435-438) Berlin : Éditions Peter Lang. Byrd Clark, J. (2008). Representations of multilingualism and language investment in a globalized world in M. Mantero, P. Chamness Miller, and J. Watzke (Eds). Readings in Language Studies, Volume One: Language across Disciplinary Boundaries. (pp. 261-277) New York: International Society for Language Studies. Byrd Clark, J. (2007). Discourse encounters through school experiences: the notion of Italianità meets the construction of la francité in M. Mantero (Ed.) Identity and Second Language Learning: Culture, Inquiry, and Dialogic Activity in Educational Contexts (pp. 93-117). New York: Information Age Publishing. Byrd Clark, J., Haque, E., & Lamoureux, S. (submitted). The role of language in processes of internationalization: Considering linguistic heterogeneity and voices from within and out in two diverse contexts in Ontario. Article in review for Special issue for the Canadian and International Education (Éducation canadienne et internationale) Journal. Byrd Clark, J. (in press for March, 2012). Heterogeneity and a sociolinguistics of multilingualism: Reconfiguring French language pedagogy. Language and Linguistics Compass Blackwell Online Journal. 6:3: 1-19. (Invited/Commissioned submission). Byrd Clark, J. (in press for 2012). Symbolic Investments in Multilingualism: Toward Multidimensional Conceptualisations of Language and Identity, Introduction. The International Journal of Multilingualism, special issue. Byrd Clark, J. (2011). Toward a policy of heterogeneity: The Journeys of Integration of Multilingual Student Teachers of FSL in Ontario in Plurilingual Times. OLBI Working Papers, volume 3, pp. 1001-1014. Ottawa, Ontario, Canada: University of Ottawa Press. Byrd Clark, J. (2011). La signification du plurilinguisme et la voix de jeunes italo-canadiens. Cahiers d’ILOB (Institut des langues officielles et du bilinguisme), volume 2, pp.1001-1021. Ottawa, Ontario, Canada: University of Ottawa Press. Byrd Clark, J. (2010). Making some “Wiggle Room” in French as a Second Language/Français langue seconde: Reconfiguring Identity, Language, and Policy in Lamoureux, S. & Labrie, N. (Eds.) Special issue, Canadian Journal of Education: 33 (2): 379-406. Byrd Clark, J. (2009). Overlapping Identities, Representations of Multilingualism, and Conceptions of Citizenship in an urban, globalized world in Special edition of RANAM, publication of l’université de Marc Bloch, Strasbourg, France, volumes 40-42: 113-130. Byrd Clark, J. (2009). Immersion for some, or for all? Challenges and opportunities through the voices of pre-service teacher candidates and their symbolic investments in French. Journal of Immersion, 31(3) : 33-35. Byrd Clark, J. (2008). So, why do you want to teach French? Representations of multilingualism and language investment through a reflexive critical sociolinguistic ethnography. Education and Ethnography. 3(1): 1-16. Byrd Clark, J. (2008). Multilingualism, Investments and Language Teaching: What does it mean for teacher candidates of French to be and become multilingual and multicultural Canadians? Mosaic: The Journal for Language Teachers.10 (2): 20-26. Byrd Clark, J. (2008). Comment definir le Francophone? Quelques réflets Plume : Revue semestrielle de l’Association iranienne de Langue et Littérature françaises (AILLF), Troisième année, numèro 6, Automne-Hiver 2006-2007, pp. 55-75. Téhéran, Iran. Byrd Clark, J., Lamoureux, S., Stratilaki, S. (submitted). Apprendre et enseigner le français dans l’Ontario, Canada : entre dualité linguistique et réalités plurielles et complexes to the organizers of the CEPFHI International conference held June 16-18, 2011 at the University of Nantes, Nantes, France. Byrd Clark, J. (2011). The significance of investing in sociocultural approaches for language learning and policy in a globalized world in H. M. McGarell & R. Courchêne (Eds). TESL 2011 Refereed Research Symposium selected proceedings, TESL Ontario. Byrd Clark, J. & Labrie, N. (2009). La voix de jeunes canadiens dans leur processus d’identification : les identités imbriquées dans des espaces multiformes dans Les Actes du Colloque International de Linguistique « Construction d'identité et processus d'identification » Université de François Rabelais, Tours, France, le 29 au 30 novembre 2007. Byrd Clark, J. (2008). Overlapping discursive spaces: The notion of italianità meets the construction of la francité. Selected paper from the 4th International Conference on Third Language Acquisition and Multilingualism, University of Fribourg in M. Gibson’s (Ed.) L3 Book Series: Schneider Verlag, Höhengehren: Berlin, Germany. Byrd Clark, J. (2007). Voices of Youth and Discourses of Multilingualism and Citizenship in Selected Proceedings for 2006 BAAL IRAAL (British Association of Applied Linguistics and Irish Association of Applied Linguistics) Conference, pp. 149-164, University of Birmingham Press: Birmingham, UK. Farmer, D. J. Byrd Clark, and A. Caron-Réaume (2005, mars) La place politique des élèves à l’école: les relations pédagogiques et les relations entre les pairs dans le groupe-classe que constitue la classe à niveaux multiples. Les actes de colloque du CRCCF (2005): La jeunesse au Canada français: formation, mouvements et identité. Presse de l’université d’Ottawa, Ottawa. 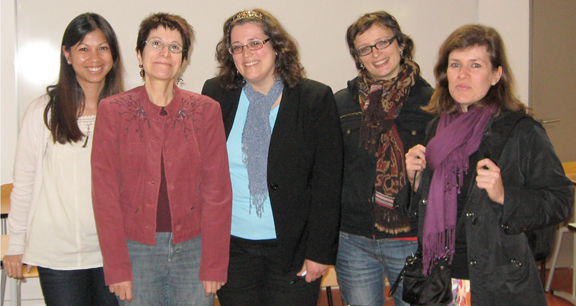 Farmer, Diane, Nathalie Bélanger, Julie Byrd Clark, Anne-Marie Caron-Réaume et Kehra Taleb (2005). Le métier d’élève dans la classe à niveaux multiples: regards d’élèves dans une école de langue française en milieu minoritaire. Actes de la Conférence internationale sur la recherche en éducation en milieu minoritaire de langue française. Université d’Ottawa, 20 au 22 avril. Wade-Wooley, L. et al. (Byrd Clark, J. member of “working group”) (2011). Towards a Foundation for Teacher Preparation in Literacy Education in Ontario. Prepared for the Ontario Association of Deans of Education, July 2011, 51 pages. J. Cummins, E. Jang, J. Byrd Clark, S.Stille, M. Wagner, & M. Trahey (2009). Steps to English Proficiency (STEP) Validation Study: Interim Report submitted to the Ontario Ministry of Education, June 16, 2009. J. Cummins, E. Jang, S.Stille, M. Wagner, J. Byrd Clark, & M. Trahey (2009). Steps to English Proficiency (STEP) Validation Study: Final Report submitted to the Ontario Ministry of Education, October, 2009. E. Geva, A Gottardo, F. Farnia, & J. Byrd Clark (2008). Provincial Policy Paper in Support of the National Literacy Strategy (NLS) Initiative: Children For Whom English/French Is Not Their First Language. Canadian Language and Literacy Research Network. Lamoureux, S., Byrd Clark, J. & Richards, M. (2008). Analyse méta-ethnographique : La transmission de la langue francaise en milieu minoritaire Toronto: Le centre Canadien de leadership en evaluation, 55 p.
Lamarre, P. (Organizer, invited symposium) with Byrd Clark, J., Lee, E., MacDonald, M., Marshall, S., Moore, D., Patrick, D., & Sarkar, M. (2012) . Diversity today in Canadian Cities : Challenges to theory and the policial accommodation of diversity. Invited panel to be presented at the Association of Canadian Applied Linguistics/Association canadienne de la linguistique appliquée on May 26, 2012 at the Congress of Social Sciences and Humanities, University of Waterloo, Waterloo, Ontario, Canada. Byrd Clark, J. (2011). Invited guest to Dr. Paul Tarc’s graduate course, EDUC 9688A, Internationalizing Education, Agendas, Contexts, Pedagogies. Byrd Clark, J. (2011). An introduction to Critical Discourse Analysis: Some considerations. Invited guest to Dr. Karen Pennesi’s Anthropology course, ANTH 2249, Discourse Analysis and Pragmatics. Byrd Clark, J. (2012). Interdisciplinarity for multilingual and intercultural education in plurilingual times. Invited scholar to present paper in panel by F. Dervin and T. Liddicoat, "Linguistics for intercultural education", for presentation at the American Association for Applied Linguistics 2012 Conference in Boston, Massachusetts (March 24-27). Sarkar, M. Lamarre, P. (Organizers of panel), Byrd Clark, J., Patrick, D. (2011). Multilingualism, migration and modernity in three Canadian cities: a critical sociolinguistic perspective. Panel of papers presented at the Multi-languages of Canadian Studies Conference to be held at Glendon College, York University, Toronto, Ontario, Canada, September 29-October 1, 2011. Byrd Clark, J. (2011). Journeys of Integration and Reconceptualizing multilingualism: Italian Canadian youth in Toronto. Invited scholar presented paper at the Multi-languages of Canadian Studies Conference to be held at Glendon College, York University, Toronto, Ontario, Canada, September 29-October 1, 2011. Byrd Clark, J. (2011). La signification du plurilinguisme et la voix de jeunes canadiens dans l’Ontario, Canada. Invited scholar presented to DYNADIV et SODILANG research members at François Rabelais, Université de Tours, Tours, France, by Professors Véronique Castellotti & Emmanuelle Huver, March 17, 2011. Byrd Clark, J. (2010). Invited scholar to present in research symposium entitled, Living multilingualism in Canadian cities: Challenges to theory and to the political accommodation of diversity, organized by Drs. Patricia Lamarre & Steve Marshall, presented at the Sociolinguistics Symposium 18 conference at the University of Southampton, Southampton, UK, September 1-4, 2010. Byrd Clark, J. (2010). The significance of investing in sociocultural approaches for language learning and policy in a globalized world. Invited scholar to present for the TESL (Teaching English as a Second Language) 2010 Ontario Research Symposium with Drs. Bonny Norton and Brian Morgan organized by Hedy McGarrell and Robert Courchêne, Sheraton Hotel, Toronto, Ontario, Canada, October 28, 2010. Byrd Clark, J. (2010). La signification du plurilinguisme et la voix de jeunes italo-canadiens. Invited scholar presented a paper for an invited symposium organized by Dr. Danièle Moore, entitled: Plurilinguisme, territories, trajectoires forthe Individual plurilingualism and multilingual communities in a context of Official bilingualism conference at the Official languages and bilingualism institute of the University of Ottawa, Ottawa, Ontario, Canada, April 29-30, 2010. Byrd Clark, J. (February 10, 2010). Academic publishing: How, when, why, and where to begin. Invited speaker for the Ph.D. study group in the Faculty of Education at The University of Western Ontario. Byrd Clark, J. (October 28, 2009). Multilingualism, citizenship, and identity: Voices of youth and symbolic investments in an urban, globalized world. Invited guest speaker at Huron College, The University of Western Ontario, for the Equity and Diversity committee, faculty members and students. Byrd Clark, J. (March 2, 2009). Making “Wiggle Room” in French as a Second Language: Multidimensional Conceptualisations of Language and Identity. Individual presentation given to the Faculty of Education at the University of Western Ontario, London, Ontario, Canada. Byrd Clark, J. (February 20, 2009). The Thesis Defence: Preparation and Process. Presentation for the Second Language Education PhD Student Forum at the Modern Language Centre, OISE, University of Toronto, Toronto, Ontario, Canada. Byrd Clark, J. (December 5, 2008). Making Wiggle Room in Applied Linguistics: Italian Canadian youth and symbolic investments in French as co-official language. Presentation given to the Department of English and Communication Studies at Iowa State University, Ames, Iowa, USA. Byrd Clark, J. (April 17, 2008). Parcours d’une chercheure, didacticienne et pédagogue et les investissements symboliques, paper presented to Dr. Diane Farmer’s B.Ed. course for teacher candidates in French at OISE/University of Toronto, Toronto, Ontario, Canada. Byrd Clark, J. (February 15, 2008). Beyond the PhD: How to apply for SSHRC Post-doctoral fellowships and tips on applying for academic positions. Workshop presented to Second Language Education PhD Student Forum at the Modern Language Centre, OISE, University of Toronto, Toronto, Ontario, Canada. Byrd Clark, J. (November 19, 2007) Espaces multiformes et identités imbriquées chez les jeunes Canadiens paper presented as an invited scholar and guest at the centre d’Études Canadiennes/Centre for Canadian Studies, University of Avignon, Avignon, France. Byrd Clark, J. (November 22, 2007). La voix de jeunes canadiens et leurs identités multiples Workshop given as invited scholar to pre-service and graduate students in Professor Nathalie Auger’s sociolinguistics graduate level course at the University of Montpellier, Montpellier, France. Byrd Clark, J. (November 10, 2007). Overlapping Identities, Representations of Multilingualism and Conceptions of Citizenship in an urban, globalized world paper presented as invited scholar at the centre d’Études Canadiennes/Centre for Canadian Studies, Département d’Études Anglaises et Nord Américaines, Université Marc Bloch, Strasbourg, France, November 8-10, 2007. Byrd Clark, J. (September 7, 2007). Voices of youth, ideologies of language, and discourses of multilingualism and Canadianité. Paper presented as BAAL International Scholarship winner at the 40th Annual British Association of Applied Linguistics, University of Edinburgh, Edinburgh, Scotland, September 6-8, 2007. Byrd Clark, J. (February 16, 2007). Italian Canadian Youth and Symbolic Investments in French in a Globalized World. Paper presented at York University, Glendon College in a Lecture Series on “Multiculturalism and Diversity in Canada” organized by Dr. Amal Madibbo. Byrd Clark, J. (November 9, 2006) Opportunities and Constraints with Open Access for Francophone Studies in the Arts and Humanities, presented at the SEP Open Access Meet and Greet at the Knowledge Media Design Institute, University of Toronto, November 9, 2006. Byrd Clark, J. (2012). On becoming a French language teacher: Negotiating legitimacy between linguistic duality and complex plural realities. Invited to present paper in the invited symposium,Diversity today in Canadian Cities : Challenges to theory and the policial accommodation of diversity organized by Dr. Patricia Lamarre, to be presented at the Association of Canadian Applied Linguistics/Association canadienne de la linguistique appliquée on May 26, 2012 at the Congress of Social Sciences and Humanities, University of Waterloo, Waterloo, Ontario, Canada. Byrd Clark, J. (2012). Interdisciplinarity for multilingual and intercultural education in plurilingual times. Invited scholar to present paper in panel by F. Dervin and T. Liddicoat, "Linguistics for intercultural education", for presentation at the American Association for Applied Linguistics 2012 Conference in Boston, Massachusetts (March 24-27, 2012). Byrd Clark, J. (2011). Exploring multilingualism and italianità through the linguistic practices of Italian Canadian youth in Toronto. Paper presented at the 16th International Metropolis Conference in the Azores from September 12-16, 2011. Warsaw, Poland, 15-17 September 2011. Lamoureux, S., (Organized panel), Byrd Clark, J., Makropoulos, J., & Stratilaki, S. (2011). Linguistic Identity and Engagement of Students and Graduates of French Immersion organized panel presented in Oranjestad, Aruba, ISLS Conference, June 23-25, 2011. Makropoulos, J. & Byrd Clark, J. (2011). Identity Implications of French Immersion Engagement for Canadian High School Students. Individual paper presented for organized panel in Oranjestad, Aruba, ISLS Conference, June 23-25, 2011. Byrd Clark, J. (2011). Pedagogical Investments of Multilingual Teacher-Learners of French in Ontario, Canada. Individual paper presented for organized panel in Oranjestad, Aruba, ISLS Conference, June 23-25, 2011. Byrd Clark, J. (Chair), Lamoureux, S. & Stratilaki, S. (2011). Apprendre et Enseigner le français dans l’Ontario, Canada. La dualité linguistique et les réalités plurielles et complexes, communication présentée à Nantes, France, June 16-18, 2011, au colloque CEPHI, Plurilingualisme. Byrd Clark, J. & Mady, C. (2011). Reflexivity, new technologies & FSL per-service…what’s CEFR got to do with it? Individual presentation presented at the Association for Canadian Applied Linguistics/Association canadienne de la linguistique appliquée (ACLA). Special Symposium on Second Language Teacher Education. June 3, 2011. Byrd Clark, J. (2011). What does it mean to be worldly? FSL student teachers’ practicum experiences in Lyon, France individual paper presentation in an organized research panelTheorizing (Liberating) Learning in the International Experience, to be presented at the CIES (Comparative and International Education Society) Conference in Montréal, Québec, Canada, May1-5, 2011. Byrd Clark, J. (2011). Making “Wiggle Room” in Applied Linguistics: Symbolic investments of multilingual teacher candidates in a globalized world. Individual paper to be presented in the language and ideology strand at the 2011 American Association for Applied Linguistics (AAAL) in Chicago, Illinois, USA (March 26-29), 2011. Byrd Clark, J. (2010). Chair/organizer of panel/symposium, entitled, Journeys of integration between multiple worlds: Reconceptualizing language, identity, and policy through complex, multilingual and transnational spaces presented for the upcoming Sociolinguistics Symposium 18 conference at the University of Southampton, Southampton, UK, September 1-4, 2010. Byrd Clark, J. (invited, 2010). La signification du plurilinguisme et la voix de jeunes italo-canadiens. Invited scholar to present in invited symposium organized by Dr. Danièle Moore, entitled: Plurilinguisme, territories, trajectoires forthe Individual plurilingualism and multilingual communities in a context of Official bilingualism conference at the Official languages and bilingualism institute of the University of Ottawa, Ottawa, Ontario, Canada, April 29-30, 2010. Byrd Clark, J. & Bono, M. (2009). Voix et positionnements multiples des apprenants plurilingues paper presented at Colloque ACÉDLE 2009 : Recherches en Didactique des Langues“Les langues tout au long de la vie”Université Lille 3, 10-12 décembre 2009. Byrd Clark, J. (2009). En faisant appel aux « zones de confort » multidimensionels et complexes : Les identités multiples et les investissement symboliques chez les enseingant(e)s-apprenant(e)s de français à Toronto, Canada. Communication retenue pour le colloque international, La construction identitaire à l’école, approches pluridisciplinaires,Université Montpellier 2-Institut Universitaire de Formation des Maîtres (IUFM), Montpellier, France, 6-7-8 juillet, 2009. Byrd Clark, J. (May, 2009). Chair, of proposed symposium entitled, Investigating the Validity and Fairness of the Steps to English Proficiency (STEP) Assessment Tool: Theoretical and Practical Considerations, CSSE (Canadian Society for the Study of Education) Conference and SHHRC Congress to be held May 23-31, 2009, Carleton University, Ottawa, Ontario, Canada. Byrd Clark, J. (May, 2009). Re-investing in the notion of Investment: Symbolic and multidimensional considerations for Applied Linguistics. Individual paper presentation to be presented at the 2009 Canadian Association of Applied Linguistics/L’Association canadienne de linguistique appliquée/SSHRC congress, to be held May 27-May 29, 2009 at Carleton University, Ottawa, Ontario, Canada. Byrd Clark, J. (April, 2009). Immersion for some or for all? Challenges and opportunities through the voices of pre-service teacher candidates and their symbolic investments in French. Paper presented at the L’Apprentissage d’une langue en situation formelle ou informelle d’immersion: Nouvelles perspectives pour la recherché et les politiques gouvernmentales/Language Immersion as Formal and Informal Learning: New Perspectives for Research and Public Policy, University of Ottawa, Ottawa, Ontario, Canada, April 30-May 1, 2009. Byrd Clark, J. (October, 2008). Making Wiggle Room: Italian Canadian Youth and Symbolic Investments. Paper presented to the Modern Language Centre, OISE, University of Toronto, Informal Seminar Series, October 31, 2008. Byrd Clark, J. (July, 2008). Comment definir qui est Francophone? Quelques réflexions présentation orale donnée au congrès de la Fédération internationale des professeurs de français/FIPF le 23 juillet 2008 à la ville de Vieux-Québec, Québec, Canada. Byrd Clark, J. & Lamoureux, S.A.(organisatrice) (July, 2008). Francophonies minoritaires et milieux universitaires : reflets Intervention orale présentée dans l’équipe de recherché au congrès de la Fédération internationale des professeurs de français/FIPF le 24 juillet 2008 à la ville de Vieux-Québec, Québec, Canada. Byrd Clark, J. et Labrie, N. (2007). La voix de jeunes canadiens dans leur processus d’identification : les identités imbriquées dans des espaces multiformes. Présentation orale retenue pour le colloque international de linguistique : Construction d’identité et processus d’identification, l’université de François Rabelais, Tours, France, le 29 et 30 novembre 2007. Byrd Clark, J. (2007). Comment definr qui est Francophone? Représentations de la francophonie, investissements linguistiques et les identitiés imbriquées. Présentation orale pour le colloque « Produire et reproduire la francophonie en la nommant » à l’Université d’Ottawa du jeudi 27 au dimanche 30 septembre 2007. Byrd Clark, J. (2007). Voices of youth, ideologies of language, and discourses of multilingualism and Canadianité. Paper presented at the 40th Annual British Association of Applied Linguistics, University of Edinburgh, Edinburgh, Scotland, September 6-8, 2007. Byrd Clark, J. (2007). Discourses of multilingualism and citizenship in an urban, globalized world. Paper presented at the Fifth International Conference on Third Language Acquisition (L3) and Multilingualism, University of Stirling, Stirling, Scotland, UK, September 3-5, 2007.
et les identitiés imbriquées dans un programme de formation initiale à Toronto. Individual paper presented at colloque international : Situations plurilingues et Français Langue Seconde du DILTEC « Didactique des Langues, des Textes et des Cultures » à l’université de la Sorbonne Nouvelle Paris III, Paris, France, 6-7-8 juin, 2007. Byrd Clark, J. (2007). Representations of multilingualism and language investment in a globalized world. Paper presented at the International Society for Language Studies (ISLS), Honolulu, Hawaii, April 2-4, 2007. Byrd Clark, J. (2007, Chair). Representations of multilingualism and conceptions of Canadian citizenship. Paper presented at the Metropolis Conference, Toronto, Ontario. March 3, 2007. Byrd Clark, J. (2006). Voices of Youth and Discourses of Multilingualism and Citizenship. British Association of Applied Linguistics and Irish Association for Applied Linguistics, Cork, Ireland, September 7-9, 2006. Byrd Clark, J. (2006). So why do you want to teach French? Linguistic choices, and language learning investment in a globalized world. Oxford Ethnography and Education Conference, St. Hilda’s College, Oxford, England, September 4-5th 2006. Byrd Clark, J. (Chair) with Aronin, L., Gunesch, K., O’Laoire, M., and Shi, J. (2006, June). Multiple approaches to multilingualism and identity across the globe: Case studies in four diverse educational contexts. Colloquium at the joint American Association of Applied Linguistics and Canadian Association of Applied Linguistics Conference, Montréal, Québec, Canada. Byrd Clark, J. (2006, April). What does it mean to be multilingual: Language learning investment in an urban globalized world. One of five OISE selected poster presentations presented at the Languages and Linguistics at the University of Toronto Conference, April, 19, 2006. Byrd Clark, J. (2006, March). Voices of Youth and Representations of Multilingualism. Individual paper presented at the Sixth Annual Dean’s Graduate Student ResearchConference, OISE/University of Toronto, Toronto, Canada, March 25, 2006. Byrd Clark, J. (2005, September) A discourse encounter through school: Italianità meets la francité at the 4th International Conference on Third Language Acquisition andMultilingualism, Fribourg and Biel, Switzerland, September 8-10, 2005. Byrd Clark, J. (2005, July). Labyrinths of social meanings: Community members discourse on an elementary foreign language program. AILA World Conference, (Applied International Linguistics Association), July 26, 2005 in Madison, Wisconsin, USA. Individual paper presented. Byrd Clark, J., Caron-Reaume, AM., Farmer, D. (2005, May). Political positioning of students at school: From pedagogical relationships to the relationships between students in a split-grade classroom. Symposium papers presented at the XXXIIIe Congrès Annuel De La SCÉE (Société canadienne pour l’étude de l’éducation, 2005), The University of Western Ontario, May 30, 2005 in London, Ontario. Byrd Clark, J., Da Silva, E., Han, H. (2005, April). Identity (re)construction of linguistic minorities in Toronto: Three case studies. Paper session/panel presented at the 2005 ISLS (International Society of Language Studies), April 19, 2005 in Montréal, Québec. Byrd Clark, J. (2005, April). Labyrinths of Social Meanings: Community Member Attitudes toward the Adoption of a FLES Program. Paper presented at the 2005 AERA (American Education Research Association) Annual Meeting: Demography and Democracy in the Era of Accountability, April 11, 2005 in Montréal, Québec. Individual paper presented. Byrd Clark, J., Caron-Reaume, A., Farmer, D. (2005, March). La place politique des élèves à l’école: les relations pédagogiques et les relations entre les pairs dans le groupe-classe que constitue la classe à niveau multiples. La Jeunesse au Canada Français: Formation, Mouvements, et Identité; Colloque du Centre de recherché en civilization canadienne-française, Université d’Ottawa, le 10 mars, 2005 à Ottawa, Ontario. Symposium paper presented. Byrd Clark, J. (2004, September). Community member attitudes toward foreign languages. Paper presented at the Cultural Diversity and Language Education Conference, the National Foreign Language Research Center, University of Hawaii at Manoa, September 18, 2005 in Honolulu, Hawaii. Individual paper presented. Byrd Clark, J. (2004, June). Labyrinths of Social Meanings: Community members attitudes toward adopting a FLES program. Paper presented at the 3rd Annual Ontario Conference of Applied Linguistics, Oueen’s University, June 11, 2004 in Kingston, Ontario. Individual paper presented. Byrd Clark, J. (2004, March). Labyrinths of Social Meanings: The role of community member attitudes and perceptions toward the adoption of a FLES program. Paper presented at 4th OISE/UT Student Research Conference, Toronto, Ontario. Byrd Clark, J. (2004, February). Labyrinths of Social Meanings: The role of community member attitudes and perceptions toward the adoption of a FLES program. Paper presented at the Modern Language Centre Informal series, OISE, The University of Toronto, Toronto, Ontario. Byrd Clark, J. Review of Carol Sanders (Ed.) The Cambridge Companion to Saussure. Cambridge : Cambridge University Press, 2004. Critical Inquiry in Language Studies, vol.6(1) 2009 : 24-26. Byrd Clark, J. Compte rendu du livre, Les Mariages Forcés: Confilts culturels et réponses sociales, La Découverte, 2008. Par Gérard NEYRAND, Abdelhafid HAMMOUCHE ET Sahra MEKBOUL. Cahiers canadiens de sociologie/Canadian Journal of Sociology: 34(2) 2009: 507-510. Byrd Clark, J. Compte rendu du livre, Les Mariages Forc�s: Confilts culturels et r�ponses sociales, La D�couverte, 2008. Par G�rard NEYRAND, Abdelhafid HAMMOUCHE ET Sahra MEKBOUL. Cahiers canadiens de sociologie/Canadian Journal of Sociology: 34(2) 2009: 507-510.